LSI Portsmouth Blog: How To Choose Your Ideal Location To Study English In England? How To Choose Your Ideal Location To Study English In England? You may realise by now that there are many English courses in the South of England. One question you may want to ask yourself is whether you want to stay in a big or small city. Of course, London is the largest city in the South of England, which also means it is very busy. If you like the atmosphere of a capital city, then maybe London will suit you. However, many students prefer to have all the amenities of a large city but prefer a place that is a lot less busy and crowded. Portsmouth is a great city in this regard. There is everything you could possibly need, such as great nightlife, shopping, history and culture and great local transport links. However, the streets are less crowded, and most things are within walking distant. Students often feel very involved with the community and quickly adapt to the lifestyle of the city. It’s also not too small, so you will never get bored, for this reason, a lot of students choose to learn English in Portsmouth. When searching for English courses in the South of England, ask yourself this question. Do you want to be by the sea, or would you prefer to be in the English Countryside? Portsmouth is a city on the coast, so you can always be close to the wonderful British seaside. However, Portsmouth is located within Hampshire County, renowned for its beautiful countryside. A few stops on a train and you can visit a traditional English village, or take a long walk along a river. 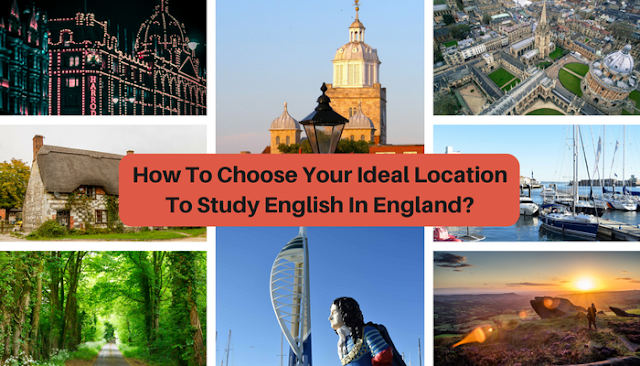 Another thing to consider when looking for an English course in the South of England is whether you want your location to be traditional or modern. Portsmouth is a very modern city, with a huge student population and a great, lively atmosphere, it is a great place to learn English. Gunwharf Quays is a modern leisure and retail complex, home to the impressive Spinnaker Tower, The Marina, and loads of modern bars and restaurants. However, Portsmouth is also famous for its rich naval history. Portsmouth city has the Historic Dockyards, lots of museums and ‘Old Portsmouth’, the traditional, old part of town. Whether it’s traditional or modern you’re looking for, Portsmouth has the best of both worlds.